At the end of the 70s the japanese synth market became very busy. The leading brands were Korg , Yamaha and Roland. While Yamaha’s target was mainly on low budget prepatched monosynths users, Roland and Korg were on the low budget side but with an interest in producing low cost modulars for the masses. Roland at the age had the SH serie that targeted prepatched synth users while the system 100 was towards low budget modulars/semimodulars and the System700 was a Pro-Studio product. Korg had a different approach, the MS and PS series were mainly mono and poly semimodulars that could be used as standalone prepatched instruments as complex systems linked together. The MS serie was composed by the MS10 (the little 1 vco, 1 vcf, 1env basic synth), the MS20 (the 2 VCO bigger brother with many added features), the MS50 (the modular expander, full of the less common modules on synths of that period) and the SQ10 (3 track sequencer). Even if the components used on MS synths were mainly the same, due to different electronic construction the three models have slight different sounds. The MS10 is considered by some the more aggressive as filter behaviour (compared to the MS20) and because of the presence of pulse width modulation (absent on the MS20). The MS20 is the more versatile of the three as can work as a synth (with lots of features), efx processor, and can be controlled even with audio signals! While the MS10 is a “straight” synth if used standalone, the MS20 is a good soundesign machine but it is a real awesome modular when used in junction with MS50 and the SQ10. The MS50 can be used to produce linear or exp FM, or to fatten up the sound, with 3 vco, 3 filters 4 env etc this little modular is really awesome! Compared to the “high end” modulars/semimodulars of the period , like the ARP 2600, EMS Synthi, Moog Systems, the MS serie has a more “noisy”and less harmonic carachter, but while back in that days were mainly considered low budget modulars, now are considered great sounding machines because the approach at making music (especially electronic music) is really changed. Every electronic music producer uses or has used an MS in his career. 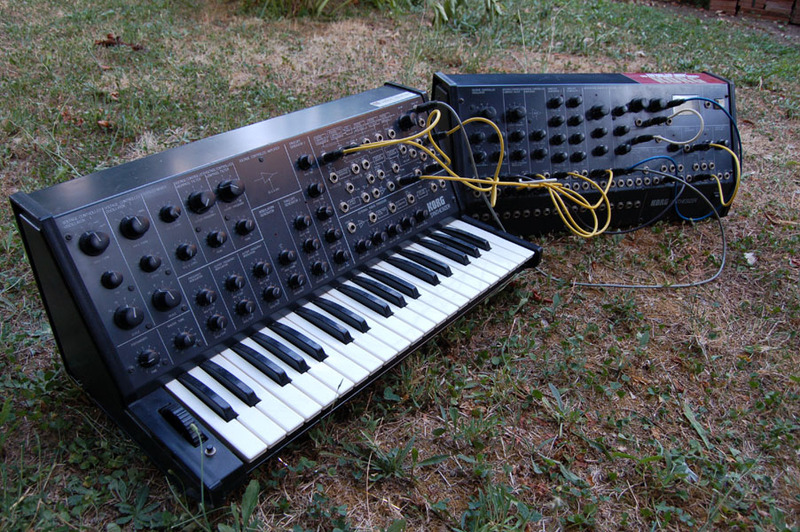 In the late 70s and early 80s MS10 and MS20 were widely used by new wave synth pop bands as O.M.D. , Human League, Depeche Mode. During the 90s every techno , electronic , producer used one or more than one. Later I’ll analize deeper the MS20 & MS50 combo, stay tuned!